Thank you for visiting FencoBankEquipment.com. Founded in 1957 and celebrating 60 years in business, Fenco is a 3rd generation family owned business (operated by the Lyons family) located in Burlington, NJ. A proud 40+ year member of the FSPA (www.fspa1.com), Fenco remains a leading manufacturer of undercounter steel teller pedestals, storage units, filing cabinets, vault & safe interiors, millwork (such as teller counters, pods & check desks) and accessories to encompass all of our product lines. Although we’re focused primarily on banks, credit unions and other financial institutions, our quality products are often used for a wide variety of applications across many markets. Why is Fenco successful? Fenco has not lost sight of its mission. We have refused the industry’s trend to manufacture cheaper pedestals of lower quality, which sell at relative costs to the better pedestals we manufacture. By never losing sight of quality, Fenco is able to keep a long-term customer base, as well as our integrity. There are a number of reasons we are the independent industry leader in teller pedestals and modular counters. The first being quality of product and service. Simply put, we design and produce the best possible level of quality in steel teller pedestals while maintaining the highest level of customer service which can’t be matched by the competition. Fenco takes pride in every cabinet manufactured; not only for the quality you see, but also for the construction design you may not see. We continually look for better ways to design our pedestal construction to maximize rigidity and functionality. It starts from the inside and works its way out, so it’s not always what you see with the naked eye. A pedestal may look great the day you purchase it, but will it work great years after your purchase? The answer is yes with all of Fenco’s products. Our design and construction standards provide our customers with a product that will outlast competing brands with ease. Expect the obsolescence term to be 20+ years with minimal or no service required. Fenco’s quality doesn’t just come through its products; it comes through the employees as well. It starts with the right attitude and ends with the best result. Our employees care about our customers and find gratification in assisting them in any way they can. Our customer service goal is to serve our customers until they are completely satisfied with their experience. We strive for all our customers to feel comfortable and confident when working with Fenco. Fenco’s flexibility is key, offering our standard product lines with a 30-35 day lead-time from receipt of purchase order (which we normally outperform). Fenco also offers rush orders upon request. Just let us know what you need and we’ll let you know if we can accomplish it. We offer a wide variety of products with unmatched versatility and product options (add-ons). There are also 20+ standard designer colors to choose from. If you aren’t able to find a color that suits your needs, or you are looking for a custom color, we can develop the color you desire at a small additional cost. Fenco also offers custom designed units. Just let us know the description, dimensions and specs of the unit you need and we will respond accordingly with a price and lead-time. Fenco delivers orders our company owned fleet of trucks. By doing this we can reduce the cost of freight (about 1/2 of common carrier – depending on location) for our customers, in turn lowering their costs, while insuring them of proper and prompt delivery of our product. The truth is, we are better than the rest whether through the quality of our service, our product, our lead-time, or our willingness to work with our customer’s needs. 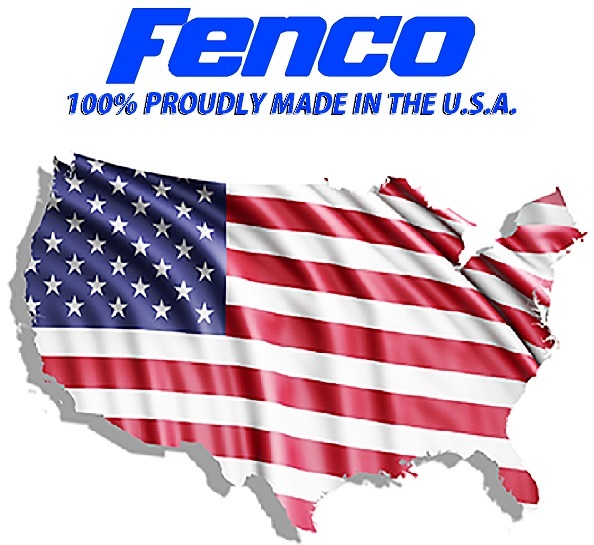 We are the independent industry leader with over 200 authorized Fenco dealers in the United States, and abroad to serve you. Most of our dealers are full equipment dealers, offering you safes, vaults, security boxes, security systems, service on same and much more. Please give us the opportunity to show you what we can accomplish together. Fenco’s authorized dealers are full service dealers who sell, install, and service the products they represent. They are your one stop shop for not only Fenco undercounter & teller counter products, but for nearly every aspect of your institution. Please consider them for all of your physical security needs; vaults, safes, drive-up equipment, alarm, surveillance, security deposit boxes, your furniture & P.O.S. applications. Fenco’s relationship with its dealer base is a close one. We choose dealers who share the same ideology in regards to quality & customer service. This is critical to Fenco, we want quality people to sell our quality products. We want them to go the extra mile to ascertain our mutual customer is completely satisfied, and they do. Just like all Fenco products, we stand 100% behind our craftsmanship and service. Being a 3rd generation family owned business, you’ll find working with Fenco has a different feel than most other corporations. We built our business on customer satisfaction and long term relationships. We do our absolute best to provide you with a quality product at a reasonable price with a personal touch, unmatched level of customer service. Our business is our passion.